If you are holding an event, you will need the services of an experienced and bilingual emcee and ensure that the event follows the timetable as well as ensuring that any memorable occasions of the event should be highlighted. When it comes to keeping all guests at your event engaged, it is advisable to hire the best Event Company Singapore. When it comes to hosting events, the host of ceremony has to be highly versatile and adaptive. Most events are generally characterized by unplanned occurrences; an experienced bilingual emcee should have the ability to tactfully to carefully absorb this side shows the main program. When it comes to hiring the best emcee Singapore, it is very important to ensure that they are aware of their audience at all times. Singapore is populated by highly cultured Chinese people; it is essential that the bilingual emcee understands how to handle their speech with respect to the prevalent cultural beliefs. A professional emcee has the capacity to coordinate an event successfully, even when something unexpected happens. An emcee should possess various skills, which include impeccable personality, eloquent speech, and great presentation experience. Communication is very essential in any event, and, therefore, hiring a professional bilingual emcee is an added advantage. A professional emcee can adjust to last minute changes, handle technical problems as soon as they occur without causing panic. Most importantly, a professional emcee can calm the audience; keep them engaged until things go back to normal. In addition, a professional emcee can play the role of a cheerleader in your community event. An emcee should have the ability to wear many hats when the situation calls for it. Every event requires different content. An emcee will use different contents to entertain guests at a wedding and a corporate event. 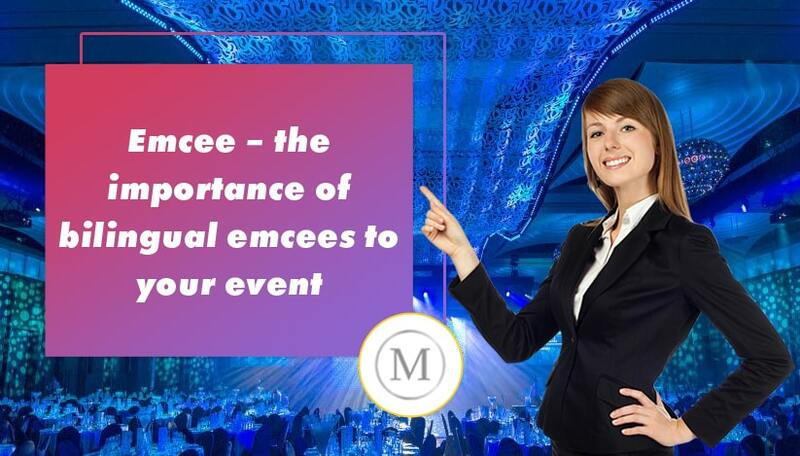 When you want to have a successful event, make sure you hire the best professional event emcee from MTM Events who will understand the purpose of every function. If it is a corporate function, the emcee should stay within the set boundaries because of the clients. On the other hand, the emcee should deliver entertaining content in another event like a birthday party. Speakers can extend their allocated time during a corporate event. It takes a professional emcee to manage time well and ensure everything happens within the allocated time. A professional emcee has the capacity to ensure that everything works according to plan. If one segment takes longer than the stipulated time, the audience might lose interest. A professional emcee comes with a fresh perspective that makes your event a memorable experience. If you are not familiar with event organization and planning, you could use professional help. MTM Events recommends one of their most popular EMCEE Duo named Twins Gone Wrong (TGW) that will make your event more successful.